A dialog is a small window that can provide message to the users. 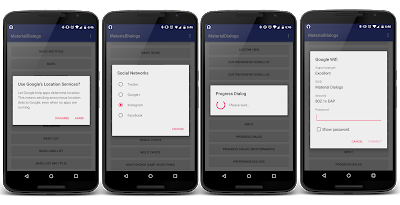 You can easily implement alert dialog to your android application by adding third party library or by writing a little bit code. Here, I have collected some beautiful dialog libraries for android project. 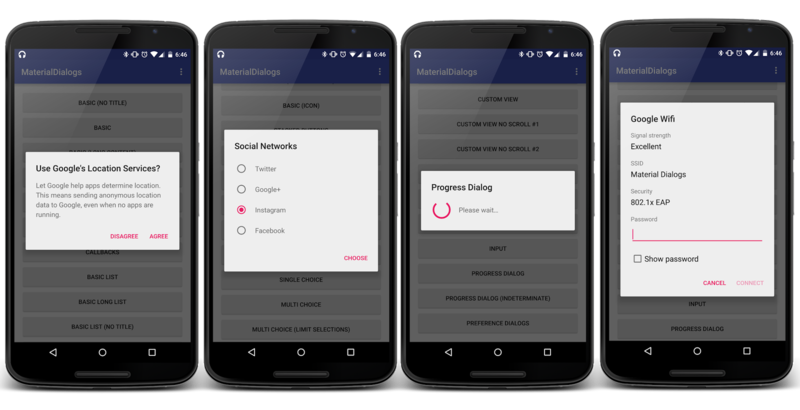 This is a beautiful, easy-to-use and customizable android dialogs library, enabling you to use material designed dialogs. It supports android API 8 and up. This is a lightweight, flexible tip dialog library for android project. You can easily customize dialog style, location, background color, animation, etc. You have to add com.github.michaelye.easydialog:easydialog:1.3 dependencies. Switch Alert is another beautiful android library with different alert dialog options. Dependencies: compile 'cn.pedant.sweetalert:library:1.3'.